Welcome To Hariom Cartons Pvt. Ltd.
We produce an extensive range of Packaging Boxes & Cartons. These are made to suit customer's requirement in different sizes, thereby providing best packaging solutions to our clients. We are Committed to deliver quality corrugated boxes. Our well equipped quality testing unit aids us in delivering a complete flawless range of boxes to our clients. offer a wide assortment of corrugated boxes and cartons that is designed and developed in compliance with the discerning need of our clients. 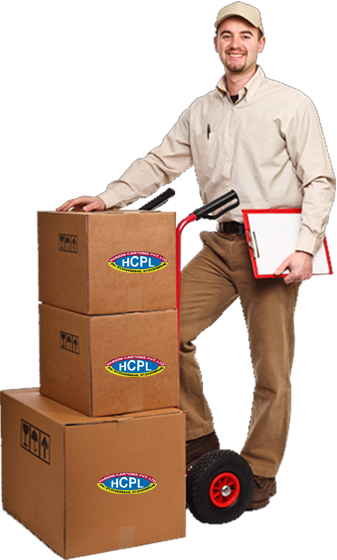 These boxes are known for durable performance, cost effectiveness and quality. Our company's area is very wide. Our company is spread over 5000 sq ft. Its very large and wide area. In our company all system are fully automatically.So we provide services to our costomers very easily. 220 Plus Committed experienced employees to meet the production needs. We have more then workers in our comapny. To achieve customer satisfaction by providing hassle free quality products to our esteemed clients. To achieve growth in the line of business we are operating significant investment in infrastructure. We specialize in manufacturing goods Corrugated Cartons to international standards. Like Pizza boxes. We are offering an extensive range of IMC Box, that are widely used for packing groceries, consumer goods, glass and earthenware. Hariom Cartons has created a Sustainability Checklist to help customers maximise the sustainability benefits of their packaging. We are able to carve a niche for ourselves in this domain. His rich industrial experience of over 20 years also helps us to understand & keep pace with the prevailing and emerging demands in the competitive markets. His strong business acumen and knowledge has enabled us to meet the demand of our clients in an effective manner. The stringent quality test on our boxes ensures Customer's Requirement. Our infrastructure spread over a vast area and well equipped with latest machineries enable us to meet the target production . Our rich industrial experience of over 20+ years also helps us to understand & keep pace with the prevailing and emerging demands in the competitive markets. Our journey began as manufacturer of high quality and durable corrugated boxes with a small manual plant and with the time we moved ahead and expanded our capacity by starting Automatic plant. Subscribe Our Newsletter for latest updates.